Upon the advice of Ed Flaherty, our host in Santa Maria, we decided to ride north along the coast for a bit but then head inland to where it’s warmer. 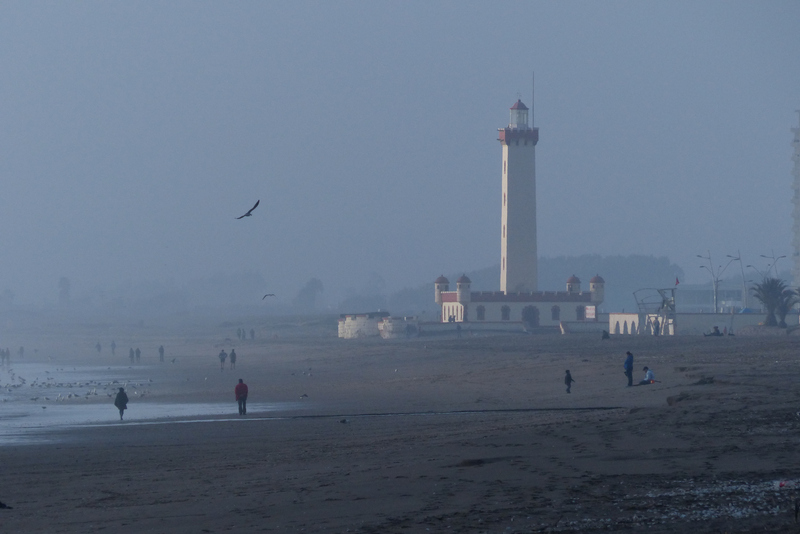 The coast, with its daily fog, is damp and cool while 20 or 30 kilometres inland it is hot and dry, so an easy decision to go inland. 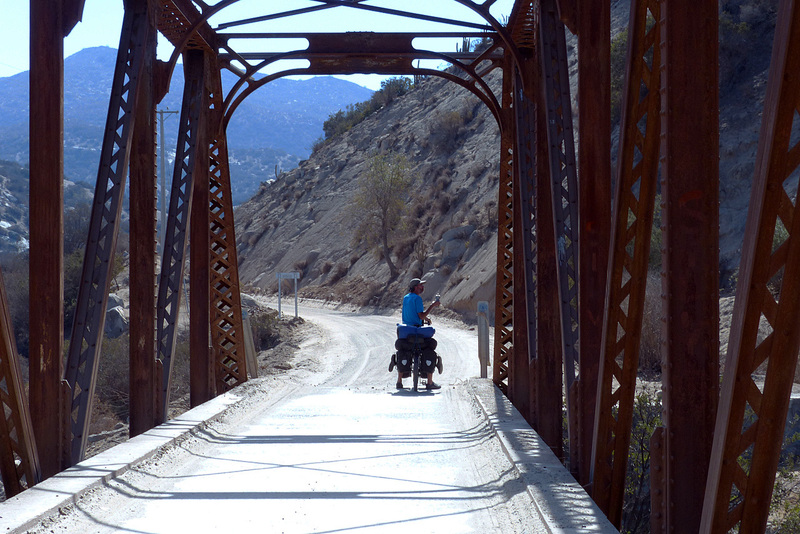 The ride out of Valparaiso was wonderful. We stayed on aptly named Camino Cintura, a road that meanders along halfway up the slopes upon which Valparaiso is perched. It offers a magnificent view of the city. It was a Sunday morning and all was quiet with little traffic. We briefly stopped at Pablo Neruda’s former residence, now a museum, but decided the entry fee was a bit too steep. Besides, it was a beautiful day that should be spent on the bicycle rather than indoors. 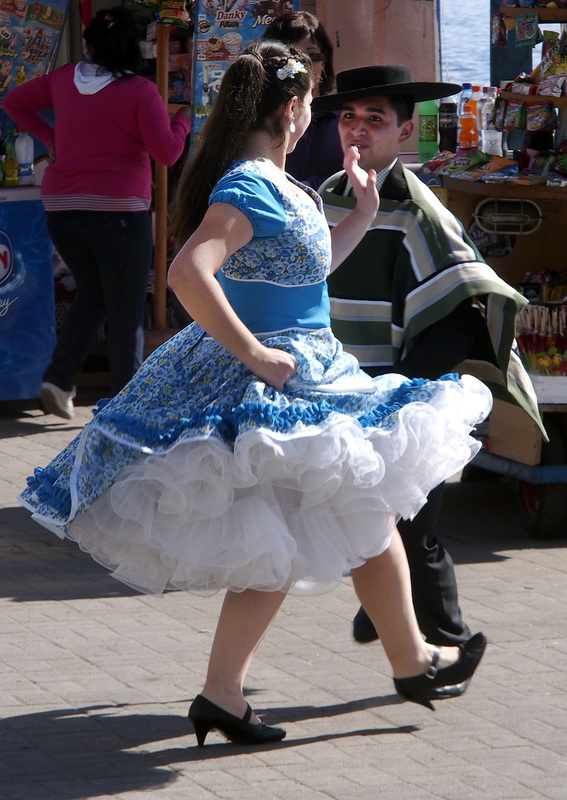 Dancers in Via Del Mar. 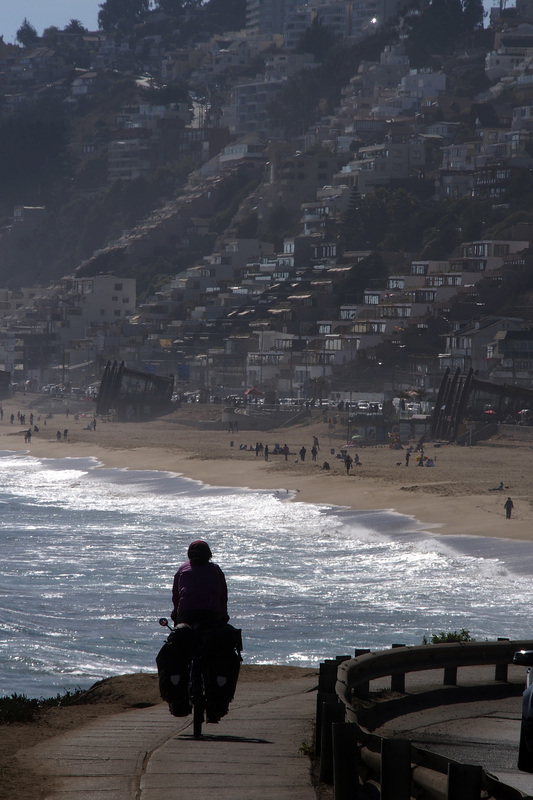 We retraced our steps along the coast to Viña Del Mar, stopping for a coffee and a snack at a beachside café, and on to Reñaca and Concon. 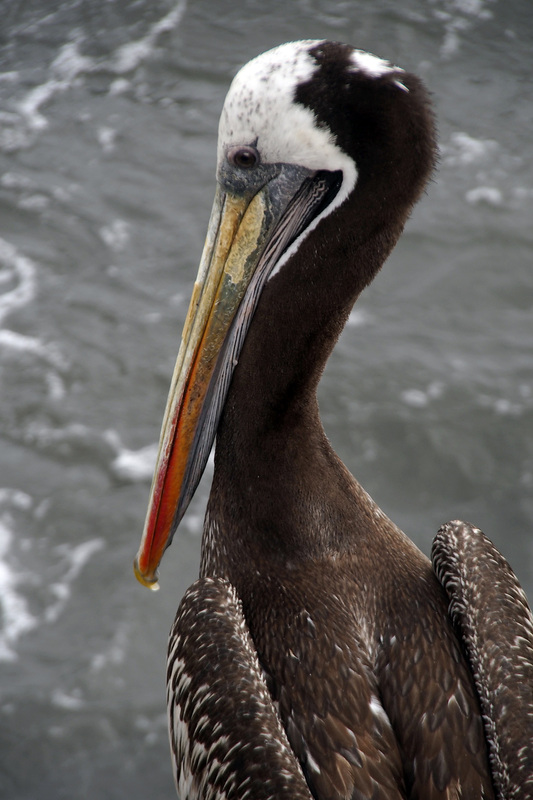 We continued following the coastal highway north through small towns and by late afternoon, we arrived in Maitencillo, a cute little seaside town where pelicans hang around the waterfront and the surf pounds in off the Pacific. We had a hard time finding a place to stay as most accommodation in these beach resorts was closed for winter. The hotel was open but way too expensive for its dumpy state, so, not an option. We asked a man standing on the sidewalk and he pointed us to a restaurant where we found an apartment for the night. Many restaurants have accommodation – Hospedaje – but it’s never advertised but the locals usually know. The apartment had a lovely terrace overlooking the ocean where we watched the sun drop into the Pacific while having a sundowner and a snack after a long, lovely day riding along the coast. After dinner, we cuddled up in bed and watched a movie on the laptop. 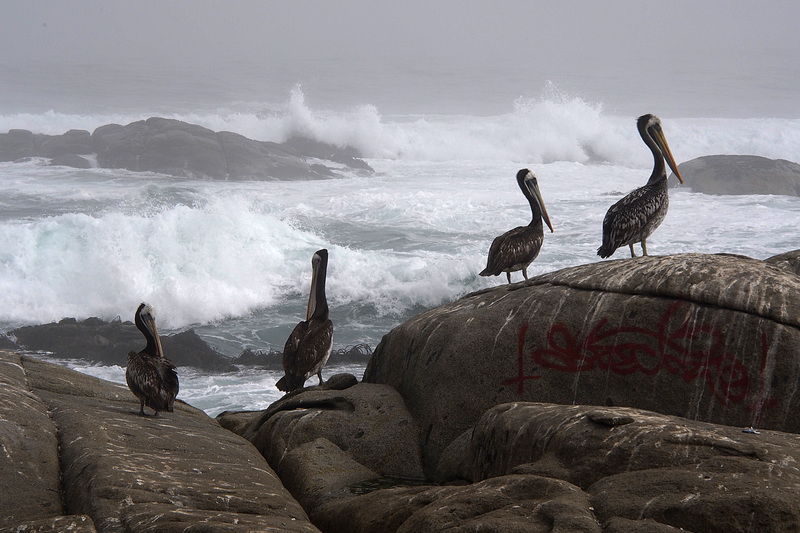 Pelicans and the surf at Maitencillo. Not in a hurry to leave in the morning, we had a leisurely breakfast and afterwards wandered along the rocky beach, taking pictures of pelicans and watching the waves crash on the rocky reef just offshore. 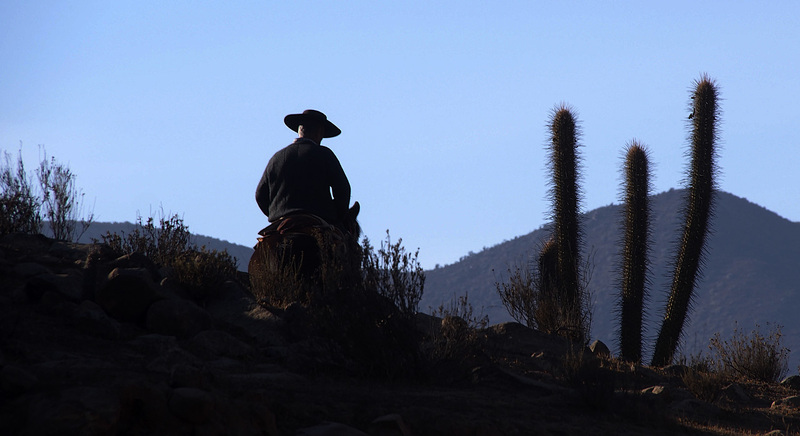 By early afternoon we carried on north through Cachagua and Zapallar to Papudo. It was an easy day with a leisurely pace along a meandering road with constant views of the ocean but the fog was quite persistent through most of the day making it a bit cool. Jan crossing the scary bridge to a look-out at Maitencillo. By the time we reached Papudo it had cleared a bit and we decided to stay. Unfortunately, this beautifully situated town in a large bay with a long, sandy stretch of beach, did not have any waterfront accommodation that we could find. We ended up in an ancient A-frame cabin a couple of blocks off the water. But the place had a heater so before long, it was warm and cozy. Again, the morning was grey and damp, reinforcing our decision to head inland. As we emerged from the fog only a few kilometres after leaving the coast, the temperature rose by about 10 degrees. By early afternoon, we were sitting on a bench in the main plaza of Cabildo having lunch, the subject of disbelief for every one passing by. 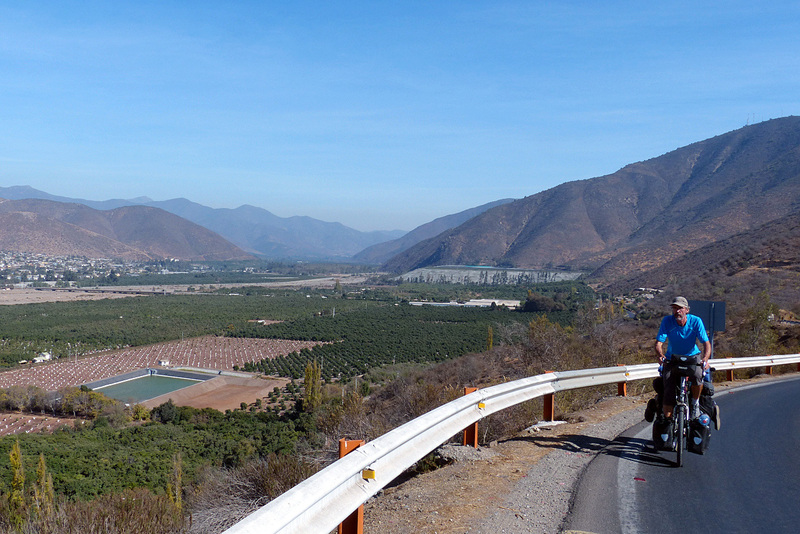 Cycling out of Cabildo through avocado plantations. We picked up some groceries and replenished our water supply before heading into the mountains north of Cabildo on a small but paved road. The valley is a rich agricultural area with parcel after parcel planted with avocado trees made possible by irrigation of this arid land. Jan exiting a tunnel south of Illapel. A series of long switchbacks brought us up above the green valley floor to a tunnel, a dark, single lane portal, controlled with a timed traffic light. The car in front of us realized we would likely not make it through in the allotted time and slowed down to prevent the cars waiting on the other side entering the tunnel. Once through, we waved a thank you and thumbs-up to the guys in the car and the waiting drivers. A few kilometres further the road split. We took the one running northwest, the E-37D, still paved and slowly climbing further into the mountains. 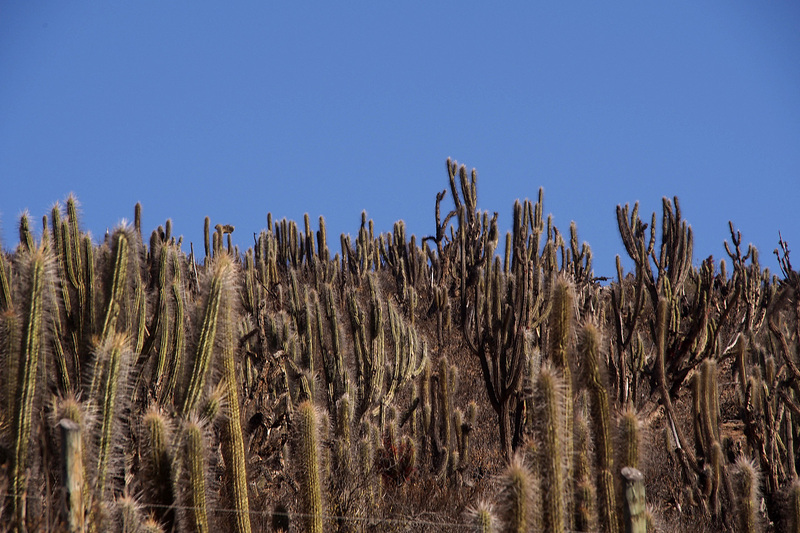 The cactus-covered mountains stretched as far as the eye could see. No avocado plantations here. The sun beat down relentlessly as we pushed higher, a dramatic change from cycling on the damp, foggy coast. At the tiny hamlet of Palquico we bought some cold drinks from a small roadside kiosk and asked the woman running it if there was any camping or accommodation in town. She said there wasn’t but we could camp in the playground across the street. Not an attractive option as we would likely have every kid and dog in town hanging around. Instead, we filled up all our water containers, about 10 litres, and carried on up the road. 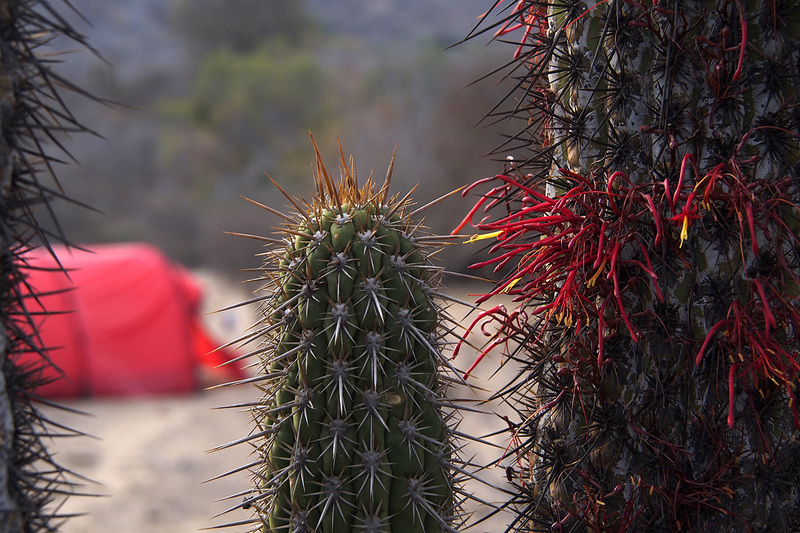 Cactus camp near Las Palmas. Five kilometres on we found an open gate and a rough track heading in amongst the cacti with a beautiful view of the valley below and the surrounding mountains. It was a perfect spot. We made camp and sat down to enjoy the view and watch the sun sink behind the mountains. The colours in the sky changed slowly from orange to red while the sky transformed from bright blue to dark indigo. The moon rose and the colours stayed in the sky for much longer than usual. A unique cloud formation above the mountains to the west made it look as if a volcano was erupting, spewing lava and ash into the sky. 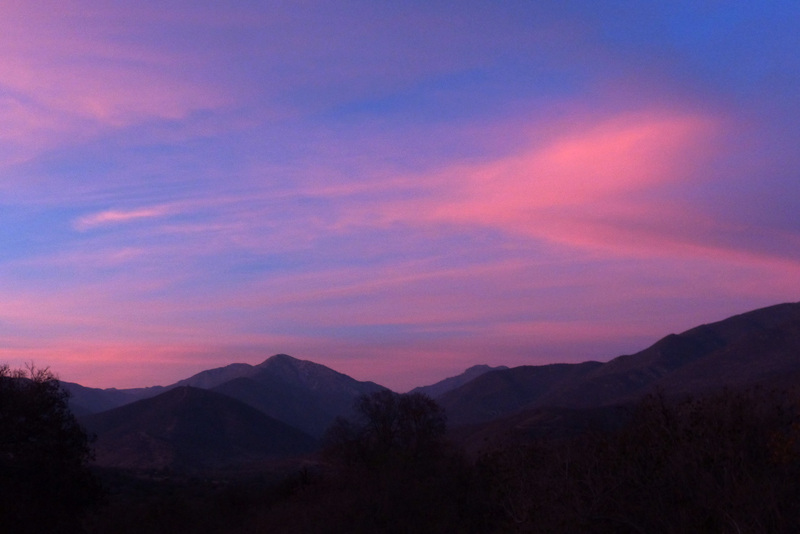 The fringes of cloud slowly changed from orange to pink and red as the sky darkened. It was a magical spectacle and a perfect ending to another great day on the road. Probably the most amazing sunset we have had on our trip. 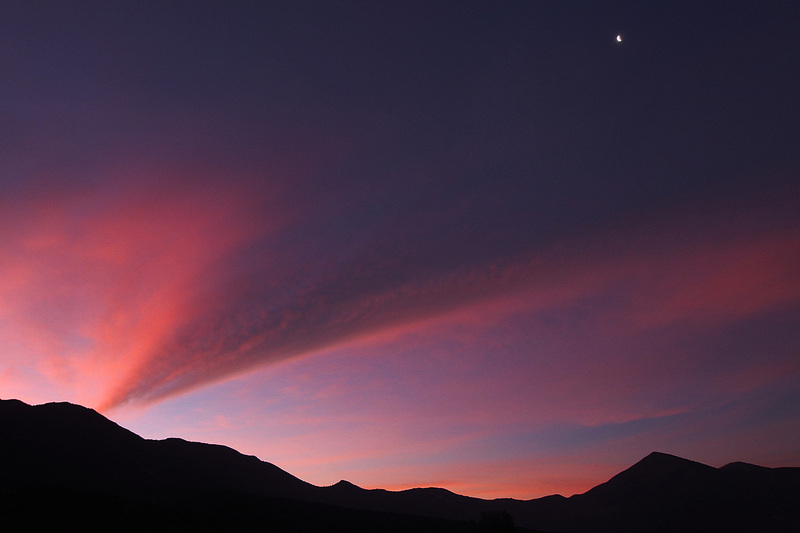 Clouds and moon over the mountains near Las Palmas. We always sleep well when wild camping. There are none of the noises that are always present when camping in a town or city where there are always barking dogs, crowing roosters and the various noises produced by humanity. 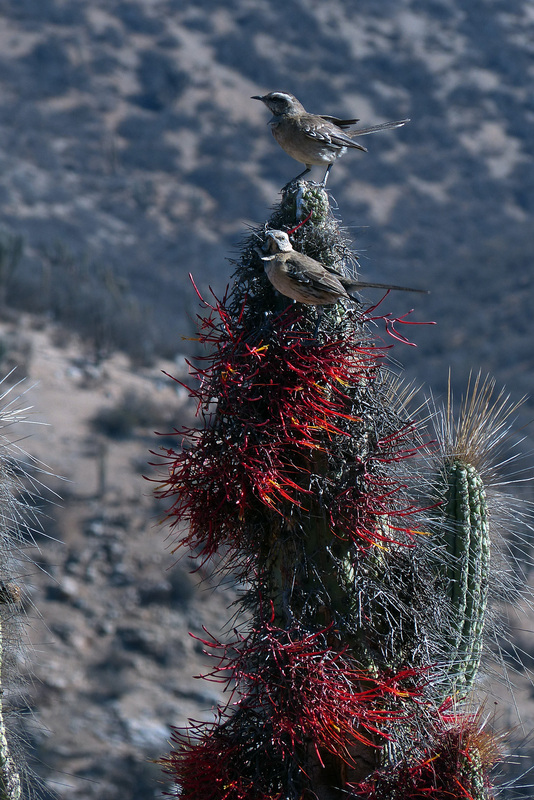 Ear plugs help to block most of the noise, but here in the quiet desert there is no sound other than a dawn chorus of song birds early in the morning. The Las Palmas tunnel, about 1.5 km long, built in 1910. 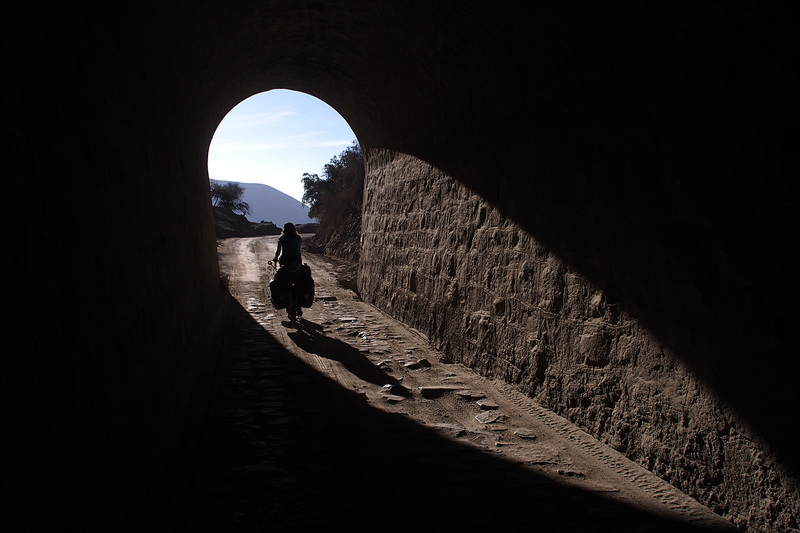 The first of five tunnels on our route north to Ovalle. Mountain road south of Illapel. The morning was clear and crisp promising another hot, sunny day. We were on the road by nine and for the next 90 minutes climbed 500 metres higher, up to just over 1,000, arriving at the Las Palmas tunnel. Built in 1910, like the first one, this was also a dark, single track passage through the mountain, about one kilometre long, but without a traffic light. We turned on our bike lights and rode side by side hoping we would look like a car coming through. 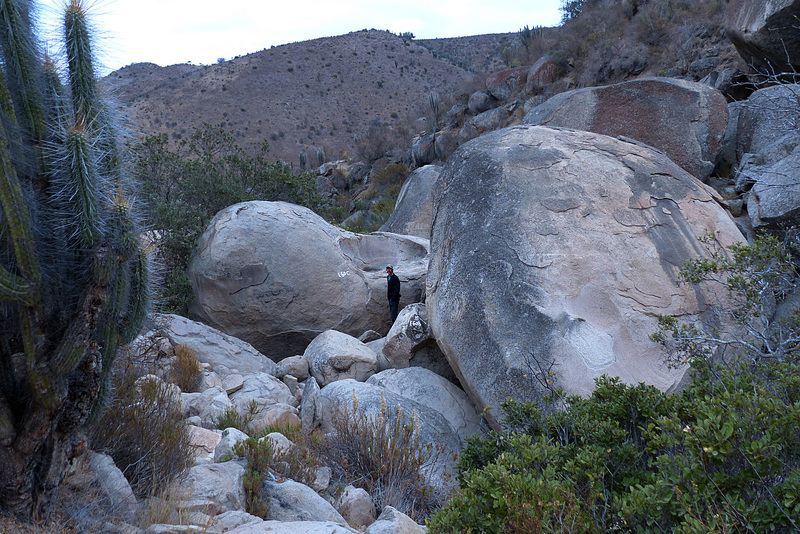 In a few minutes we emerged back into the daylight at the top of a valley in the province of Coquimbo having left the province of Valparaiso behind us as well as the asphalt. 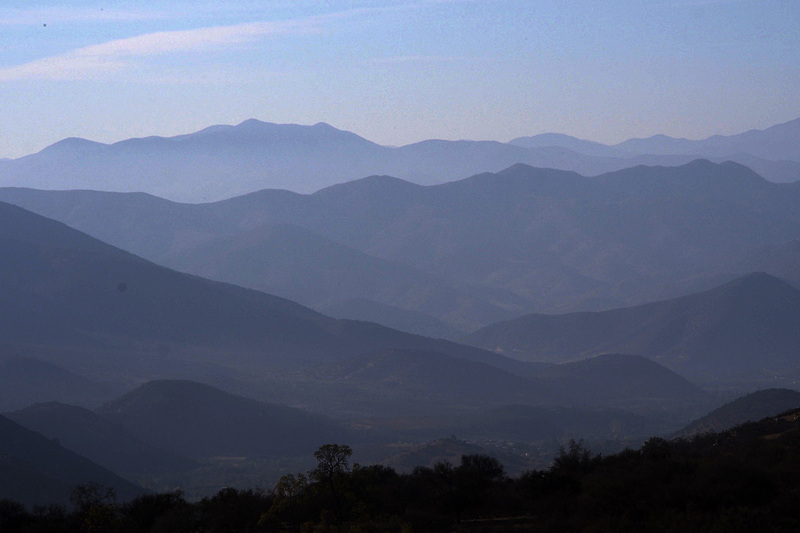 Mountain ridges south of Illapel. The road stretched down the valley, dropping 500 metres over 10 km before climbing back up 400 metres over 9 km, only to drop into the next valley and climb yet again over a similar distance. In total, we climbed nearly 1,500 metres in the blistering heat. We tried to make it to Illapel but ran out of daylight. Unable to find a place to camp we rode until it was too dark to continue, especially the final 10 km to Illapel on a road with heavy truck traffic. On the road to Illapel. 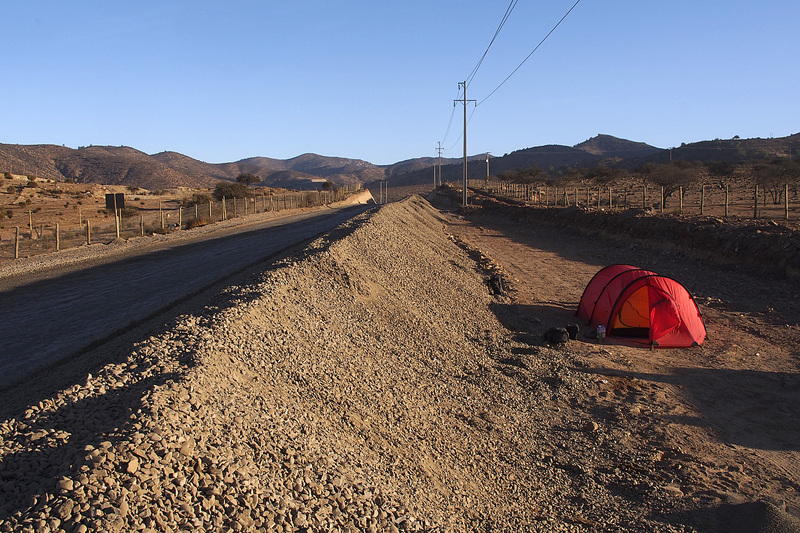 Desperate, we found a large flat area along the road behind where the workers had piled gravel for several hundred metres, separating it from the road and making it impossible for any vehicles to get through and accidentally run over our tent in the night. It was probably the worst place we have camped so far. The truck traffic did not cease during the night and sleep was constantly interrupted making for a very unrestful experience. Our least glamourous campsite beside a busy route D81 between Illapel and Salamanca. We were desperate. We rose early, ate our breakfast in the gravel pit and packed up just as a work crew came along. They paid us no mind as if what we were doing was nothing out of the ordinary. Who knows, maybe others have camped here. Having camped in the gravel pit proved to be a wise decision as the road was under construction all the way to Illapel and full of narrow, single-lane stretches that would have made cycling in the dark very unsafe. We cycled into Illapel and made our way to the Plaza des Armas – every town has one – and to our delight found a little coffee stand that served excellent espresso instead of the wretched Nescafé that is usually sold everywhere. We lingered in the pleasant, shady atmosphere watching the people go about their business. Most people stare but very few will approach us to ask where we’re from or what we’re doing. I can tell from the look in their eyes that many think we must be a couple of crazy gringos, wondering why we would travel through Chile on heavily loaded bicycles. But occasionally, somebody will come and chat and we explain in Spanglish where we’re from and what we’ve been up to. They are always amazed, silently reinforcing their belief that we are a little bit loco. However, on the road we do get lots of honks and thumbs up from passing drivers. Loco like a fox, I say. The pre-cordillera north of Illapel. We stocked up on some groceries, filled our water bottles, used the washroom at the Unimarc grocery store and continued on our way north into the desert, on our guard as we entered chinchilla country. 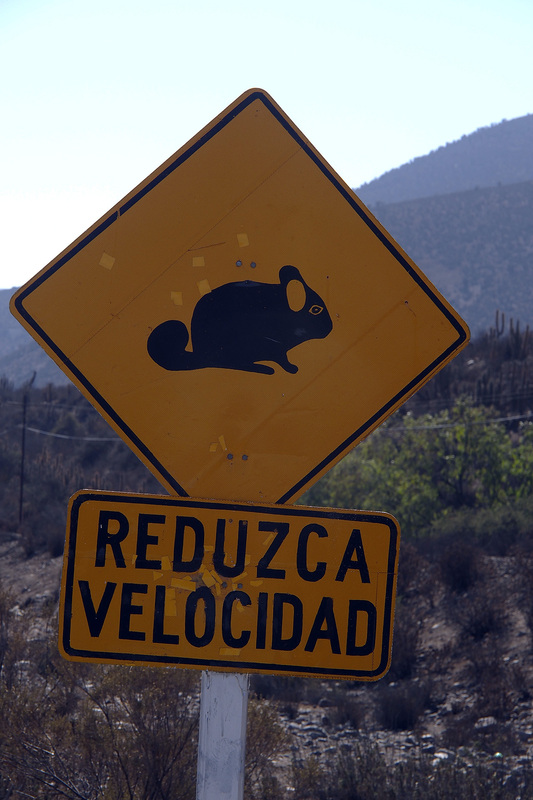 The road bisects Reserva Nacional Las Chinchillas and signs warned us to be careful of chinchillas crossing the road. None ever did. 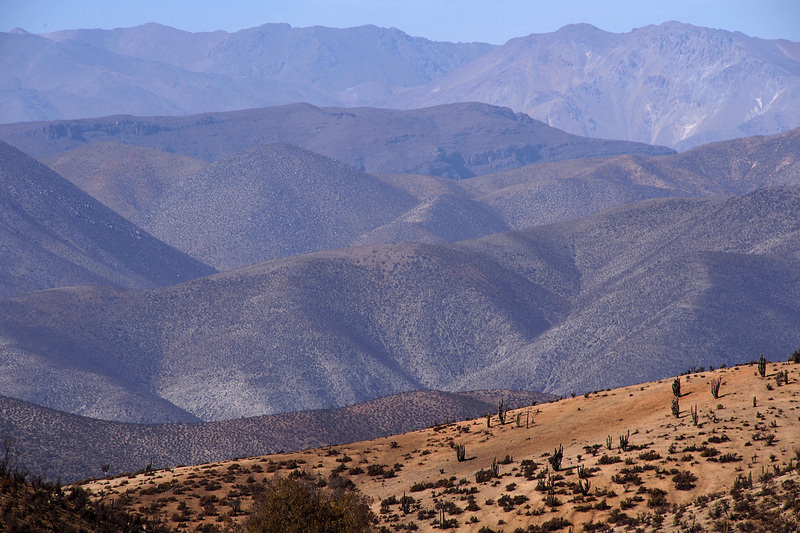 All we saw were acres of dry desert studded with cacti for 30 km as the road climbed up to 1,200 metres. Repeating the previous day’s pattern, we then descended 600 metres over 13 km, arriving at an intersection with Ruta D71, running from the coast to Combarbalá. We bought some juice and water, and the owner kindly filled up our other water containers from the tap, charging us a small fee, a first. But water is scarce and he has to pay to have it delivered. Now if they could only do something with cacti. Loaded up with the additional 10 kilos of water for the next 22 km of climbing, we slowly ground our way up to the next pass at 1,100m. With the day waning, we stopped about 3 km shy of the summit to take in the amazing landscape, finding a lovely, secluded spot to camp among the cacti a couple of hundred metres off the road. It had been a long day and we were tired from a cumulative 1,700 metres of climbing and lack of sleep in the noisy, roadside gravel pit the previous night. 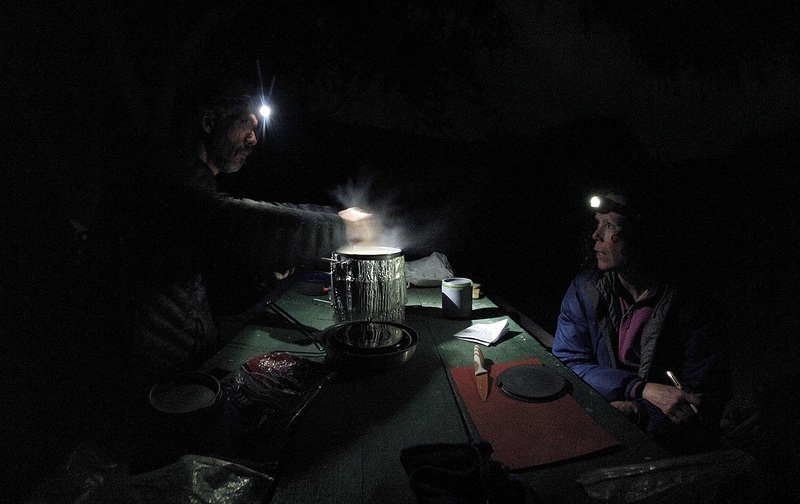 We enjoyed the warm evening as darkness fell and we cooked our dinner of pasta with pesto sauce. It’s amazing how warm it is during the night, despite the elevation. The morning is always a bit cooler but the sun quickly warms things up and by the time we head back on the road it’s warm enough to have on only shorts and a short-sleeve top. 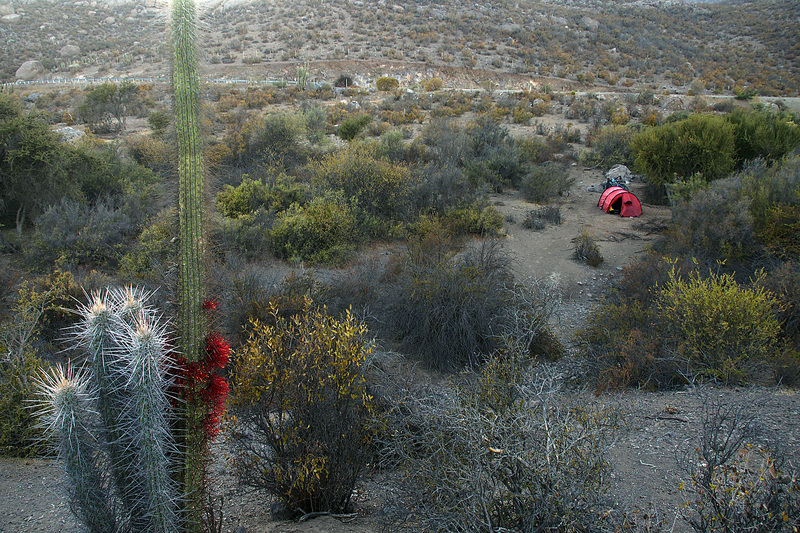 Camp site in the pass to Combarbalá. The final few kilometres up to the pass were fairly easy and the next 15 were all downhill to Combarbalá. No espresso stand in this town’s plaza but it was buzzing with activity so we hung around for a while enjoying the atmosphere. The desert landscape north of Combarbalá slowly gave way to valleys filled with grapevines as we entered the Limarí Valley. Even though our road trended down into the Limarí Valley, there was a lot of up and down with short, steep climbs all the way along the 90 km we cycled that day, ending up in Monte Patria. 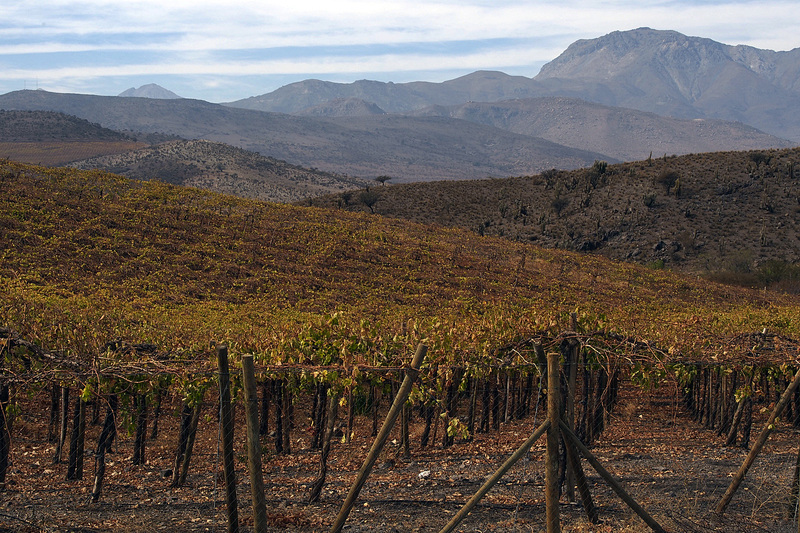 Vineyards in the Limarí Valley north of Combarbalá. We enquired and found a hospedaje that was rather rudimentary but the shower was hot and the bed was comfortable. The owner, a very nice man, also ran a restaurant next door where we had a huge dinner washed down with a lovely bottle of Reserva Cabernet Sauvignon. 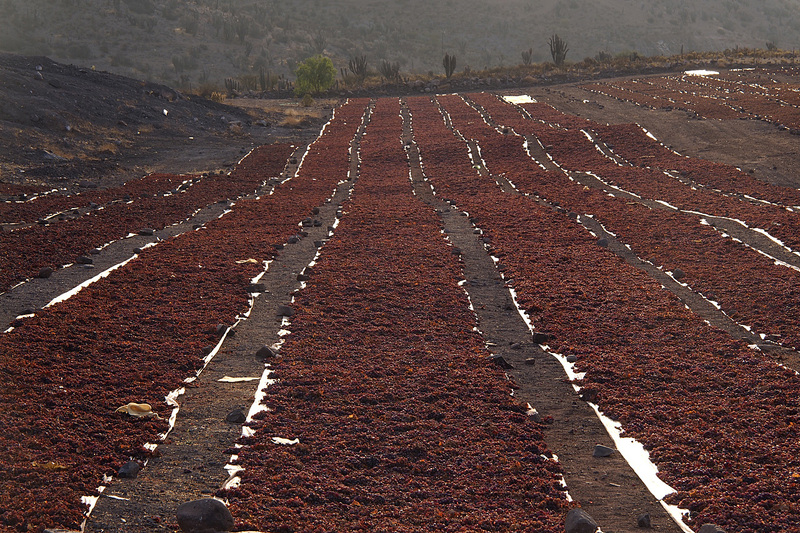 Grapes drying in the sun outside Monte Patria. We retired to our spartan accommodation and cuddled up in bed with the laptop to watch Johnny Depp as Tonto in The Lone Ranger. Very entertaining. By midnight, the thumping of the disco nearby was going strong but tired from the previous days’ riding, sleep came easily. 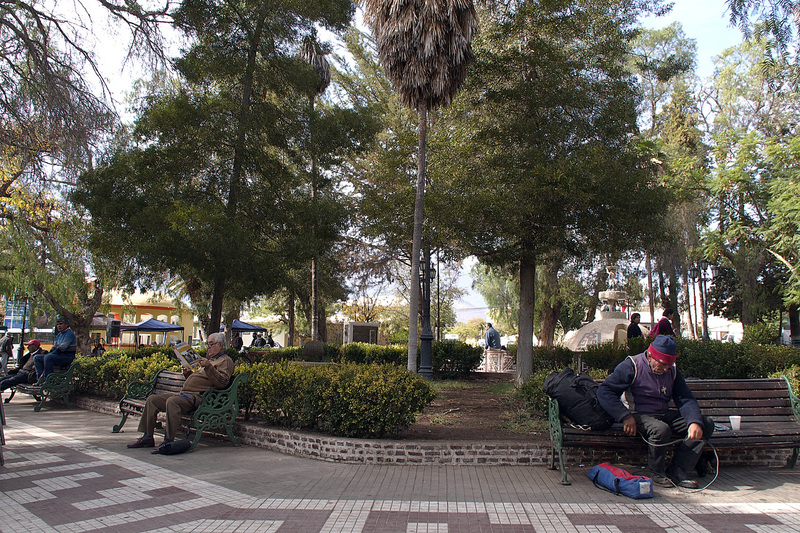 Ovalle, the centre of the Limarí Valley turned out to be a disappointment, despite its billing as an exciting place to be. It was buzzing with people and activity but we were unable to find accommodation, other than an overpriced, dumpy, dirty hotel. After two hours of unsuccessful attempts at getting a roof over our heads we decided to leave Ovalle and cycled to Valle del Encanto, 25 km west. A lovely man greeted us at the entrance to the park. In a combination of Spanish, French and English, all mixed up together, he explained the park and its history and showed us where we could camp. 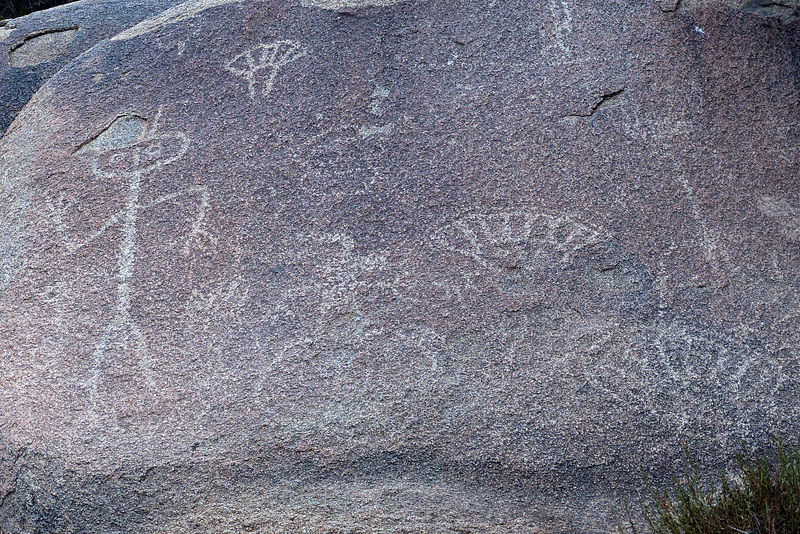 Inca pictographs in Valle Del Encanto. 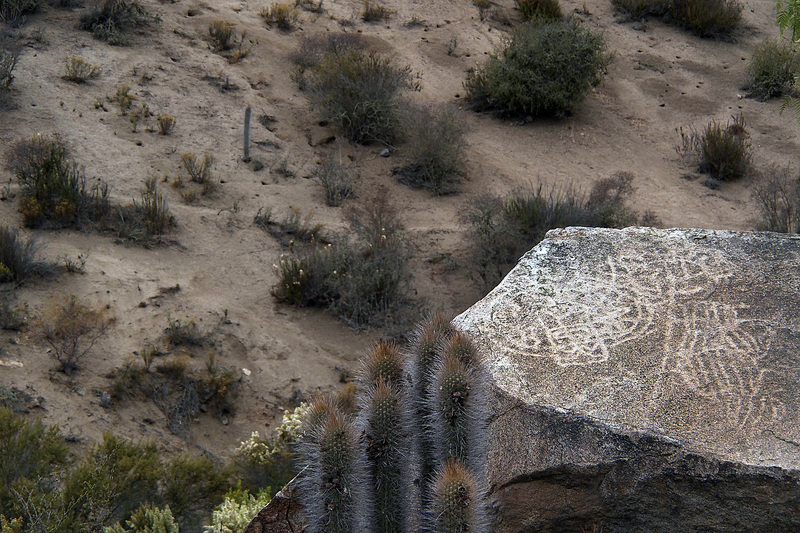 There are dozens of pictographs and petroglyphs in this little valley, symbols left behind by the Incas. We had the place to ourselves. We wandered the valley with it’s amazing rock formations, admiring the setting and the Inca artwork. 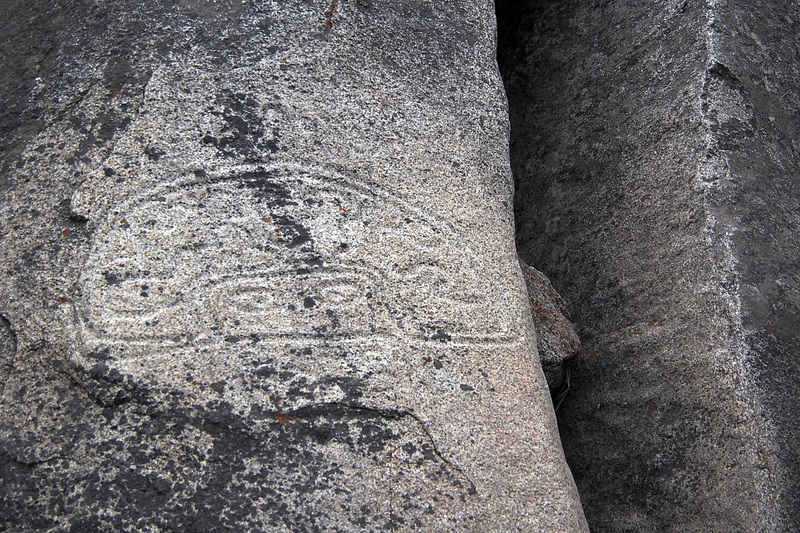 Inca pictograph in Valle Del Encanto. Making dinner in Valle Del Encanto. 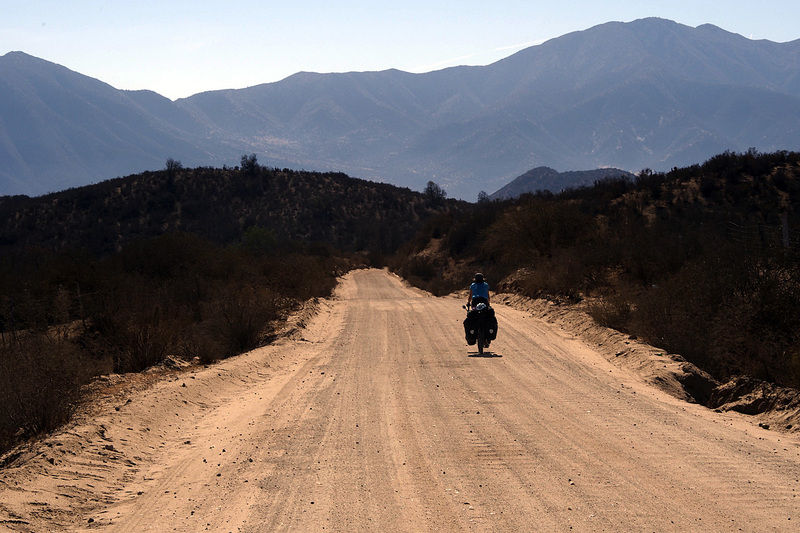 In the morning, we rode west to where we had to take the PanAmerican Highway, Ruta 5, as there were no secondary roads heading north. Traffic was fairly light on this four-lane, divided autobahn and it had a wide shoulder, so the cycling was quite good. 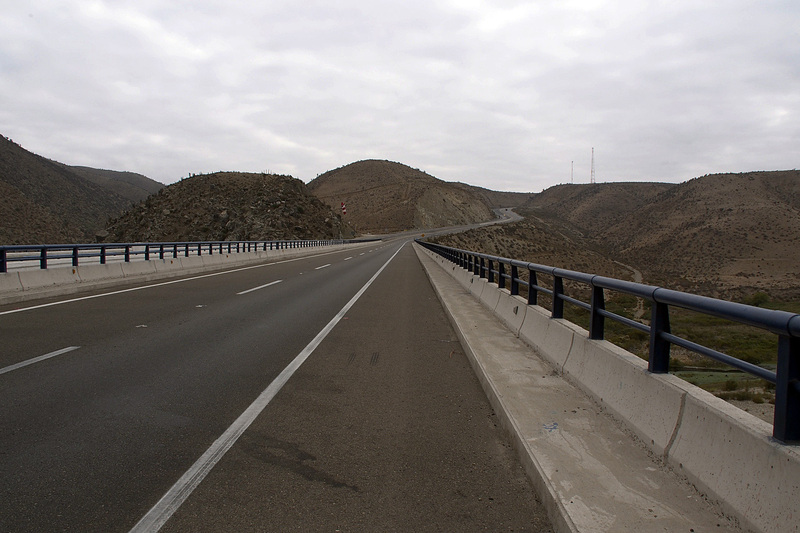 The Pan-American Highway, Ruta 5, west of Ovalle. 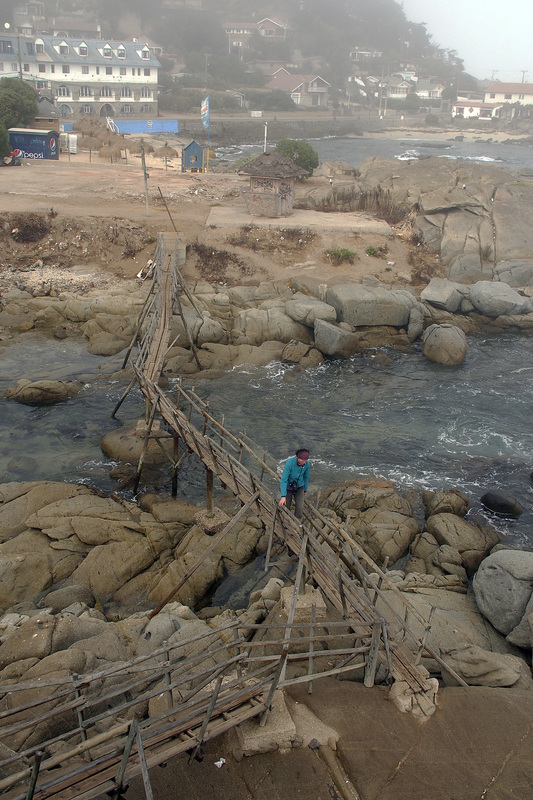 We got off the freeway at the earliest opportunity to get to the coast and the town of Tongoy. 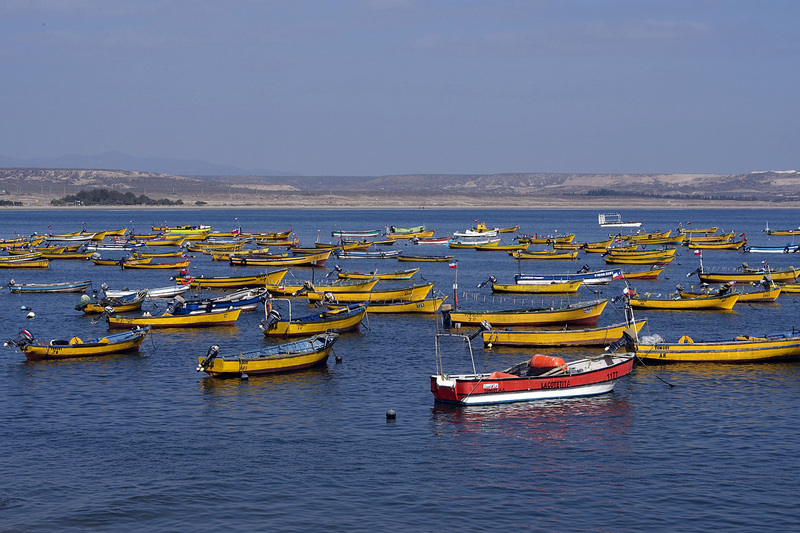 It proved to be a bit of a disappointment and we moved on to Guanaqueros, 10 km further past a large headland in a large bay. Here we found Walter, the owner of Bahia Camping and Cabañas, a truly lovely spot being run by a lovely man. 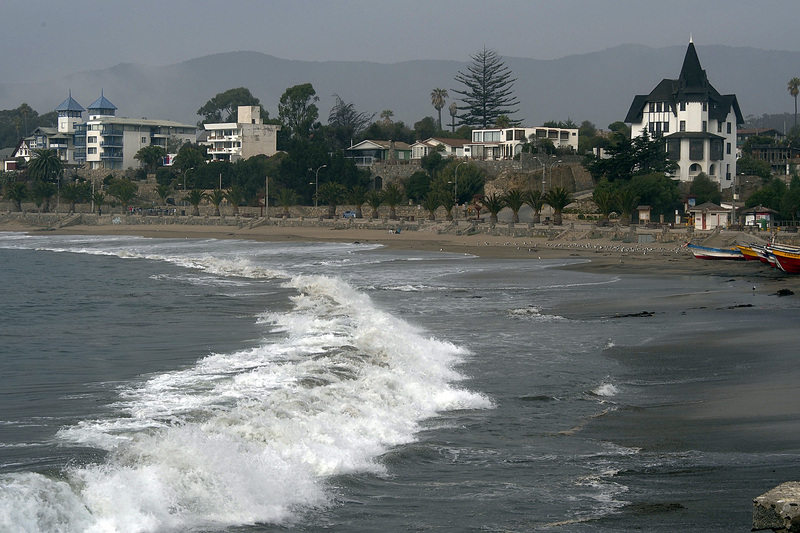 We had one look at one of the beachfront cabañas and decided to stay – for three days. Cheers! 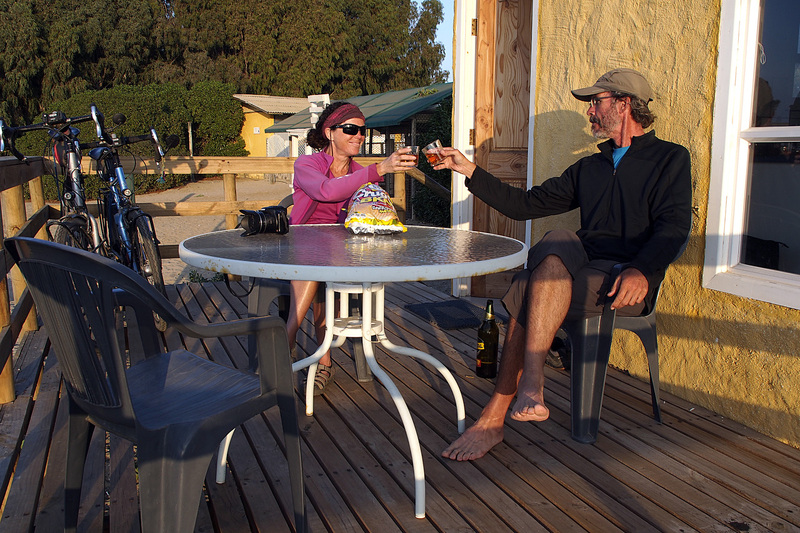 Chilling on the deck of our beachfront cabaña in Guanaqueros. 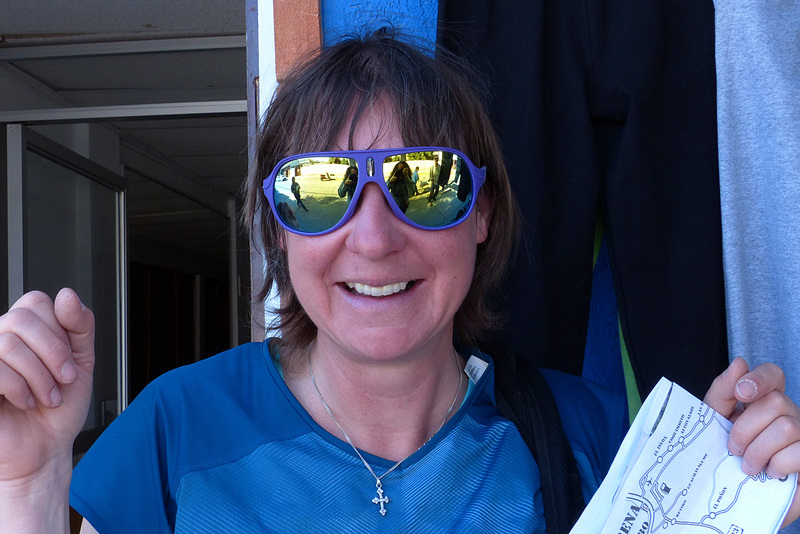 Here we also met Anita, a cyclist from Germany who has been on the road for two years. 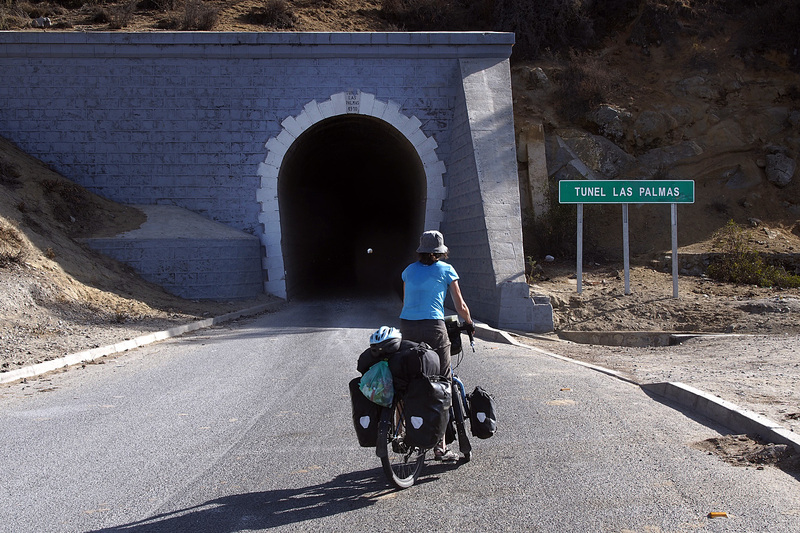 She started her odyssey in Alaska, cycling south as far as Lima when the rainy season forced her to alter her plans, so she flew south to Ushuaia and continued cycling north. She plans to get to Lima by July when she will have to go home again. Anita trying on a new pair of sunglasses. Scallop shell on Guanaqueros beach. The three of us were the only people in the camp site. Tired from our ride through the hot, mountainous interior, we stayed here for three days eating, sleeping and relaxing by the seaside. It was a well-deserved break. Since leaving Valparaiso seven days earlier, we had cycled 590 km and climbed a total of 7,500 metres, probably one of the harder stretches of road we’ve done. Guanaqueros beach. We stayed for 3 days. Can you blame us? With our bodies rested and recharged we cycled 50 km north to La Serena where we took another day off to have a look around this lovely city. Here, by chance, we ran into our friend Eleanor whom we had met in Villa O’Higgins a couple of months earlier. Even though she’s been hitchhiking and travelling by bus, we ended up here at the same time. Check out her blog: Ridges and Valleys. 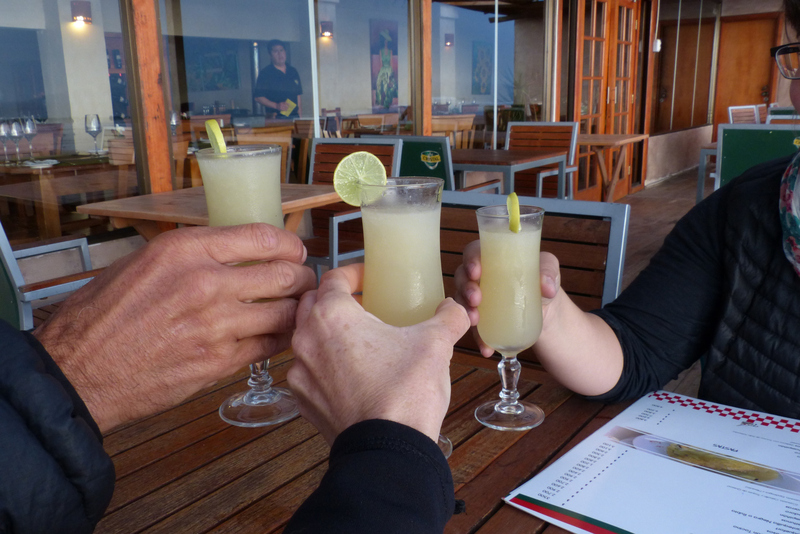 We celebrated National Pisco Day, followed by a nice meal in a small Thai restaurant, the first one we’ve come across in South America. It was a nice change from our own cooking and the rather pedestrian, less-than-imaginative Chilean culinary experience. 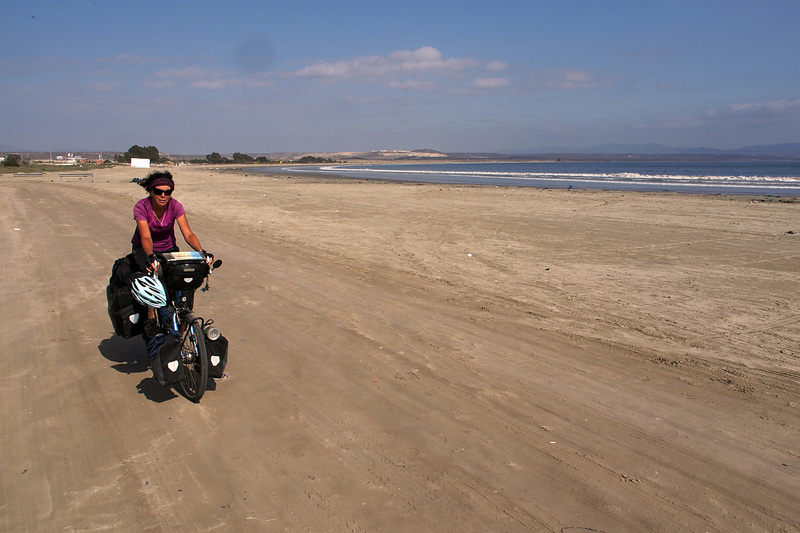 La Serena and Coquimbo have an amazing stretch of about 10 km of sandy beach between them. Development has been tastefully done, so far, and it struck us that La Serena would be a nice place to live with a good year-round climate, ocean on one side and mountains on the other with the renowned Elqui Valley stretching inland to the Argentinian border. 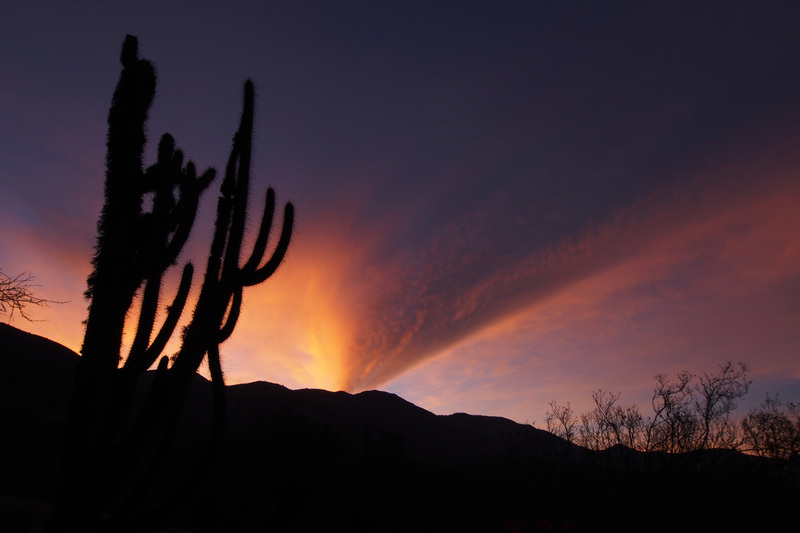 Famous for its Pisco production, astronomical observatories and the home of Chile’s nobel-laureate poet, the late Gabriela Mistral, the Elqui Valley seemed like a place demanding exploration. Love your journey if one had enough time to follow in your tracks. So much to see and do. Thanks for sharing. As always, your pictures are amazing! We are not commenting every time but we follow your journey always! Slow is good! Slower is even better! 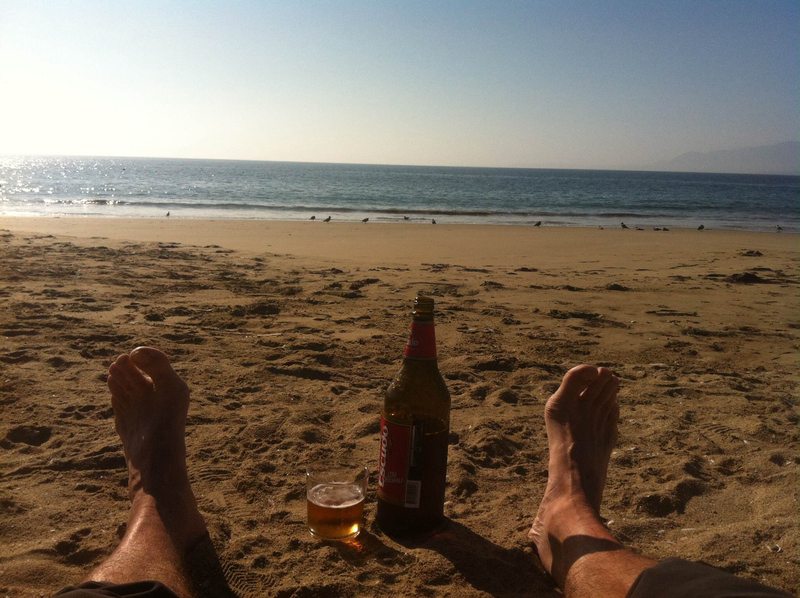 Take care as always and enjoy the Atacama!